Greetings, tiny humans. Do you want to talk like an Evil Overlord? How about baking hobbits into a pie? Or perhaps you want to enslave all of mankind? Come to the Dark Lord’s Travelling Roadshow and I will teach you how! It won’t be long before your annoying parents and wormling teachers become your snivelling minions, mwah, hah, hah! Jamie Thomson has been a writer and computer games developer for over 30 years. His works include interactive choose your own adventure books, computer games (variously, as a designer, writer and director), film and tv scripts, radio plays for the BBC and award winning novels for kids. The first title in his Dark Lord series of comedy novels won the Roald Dahl Funny Prize in 2012. His works have been translated and published all over the world, from America to Japan. 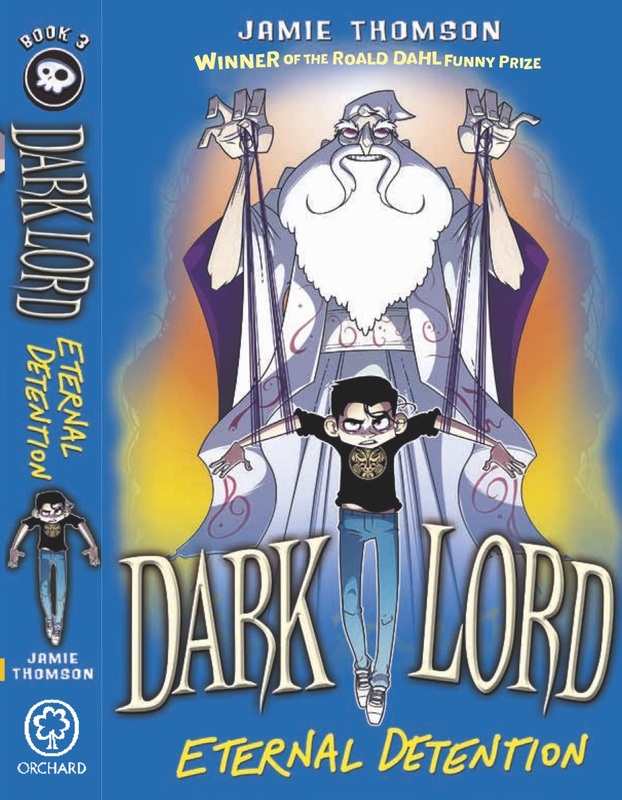 Jamie's book, Dark Lord the Teenage Years won the Roald Dahl Funny Prize, 2012.